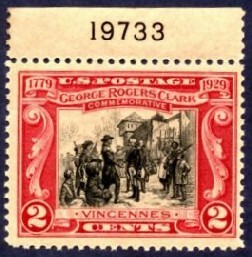 Red was the color designated by the Universal Postal Union for internal or domestic postage stamps. 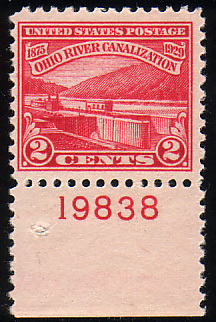 Except for a brief period at the end of World War I, domestic postage rates were 2¢ until 1933. 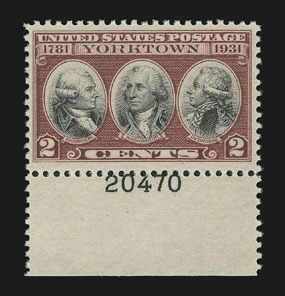 Virtually all of the 2¢ commemoratives from 1898 through the early 1930s were red (or "carmine" or "scarlet" or...), and the few that weren't predominantly featured red. 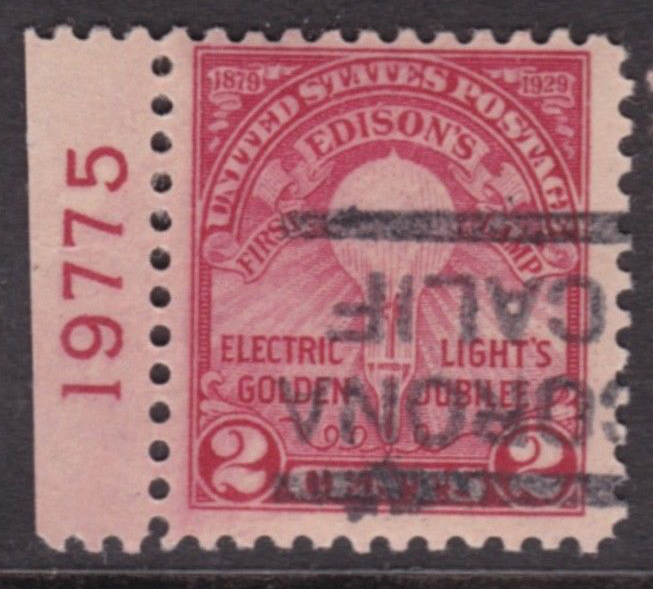 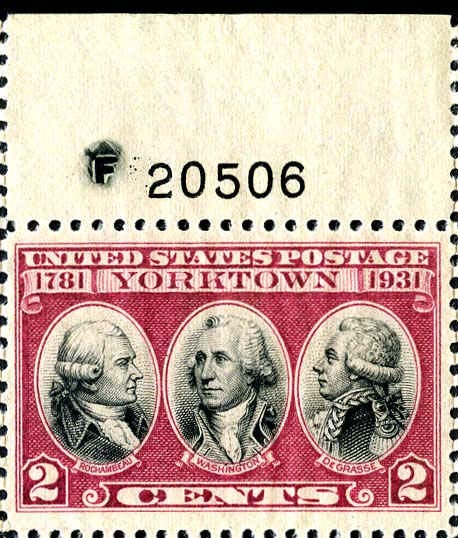 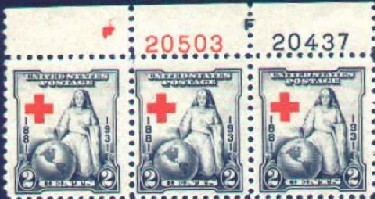 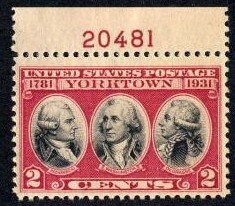 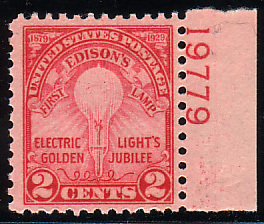 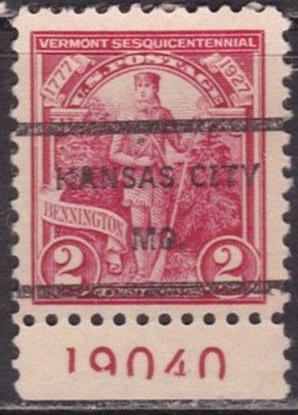 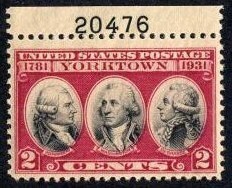 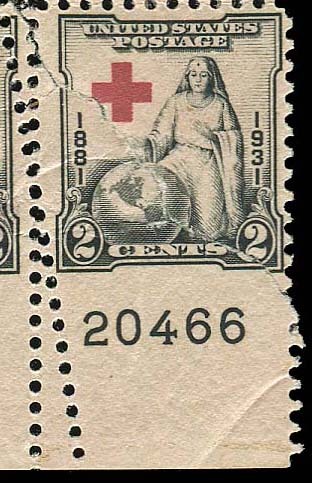 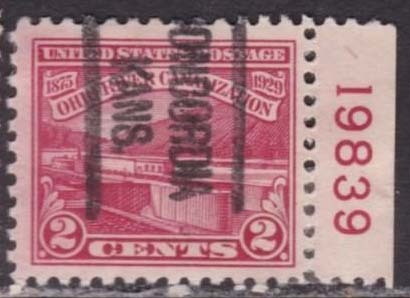 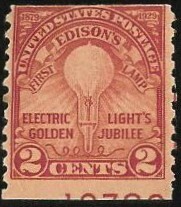 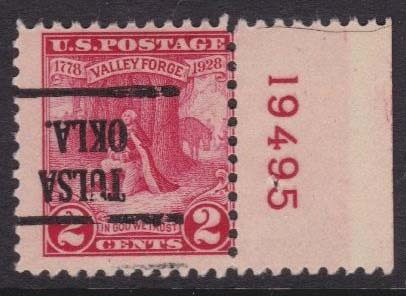 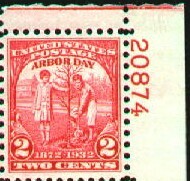 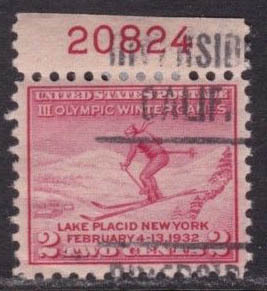 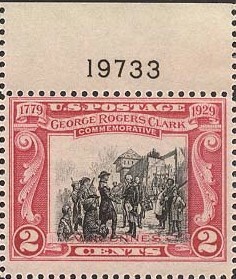 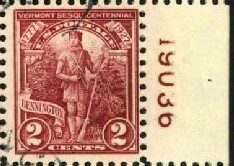 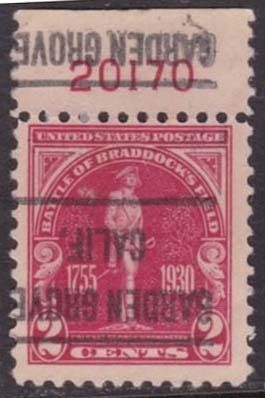 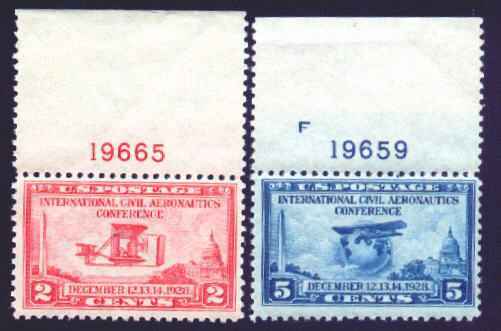 The nickname "2¢ reds" applies especially to the single-issue commemoratives issued from 1926, beginning with the Liberty Bell issue, Scott 627, through the Lake Placid and Arbor Day issues of 1932, Scott 716 and 717. 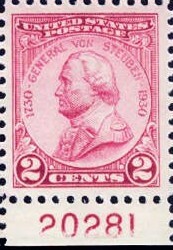 Scott 630a, 2¢ Battle of White Plains, used single from souvenir sheet of 25, bottom plate number 18771. 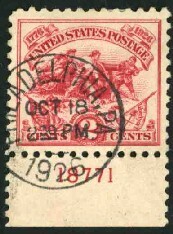 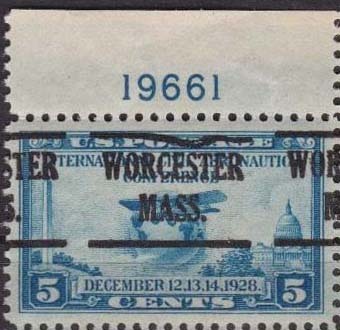 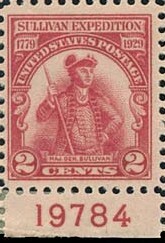 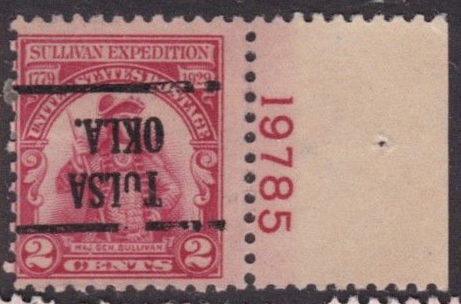 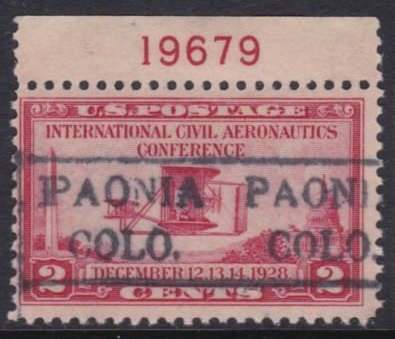 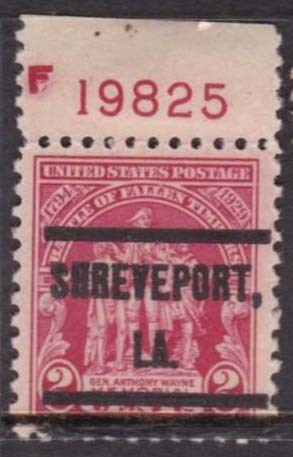 The stamp is canceled on Oct. 18, 1926, the first day of issue. 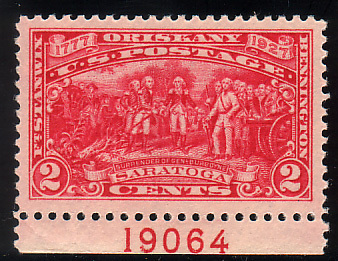 Scott 630a, 2¢ Battle of White Plains, single from souvenir sheet of 25, right plate number F18773. 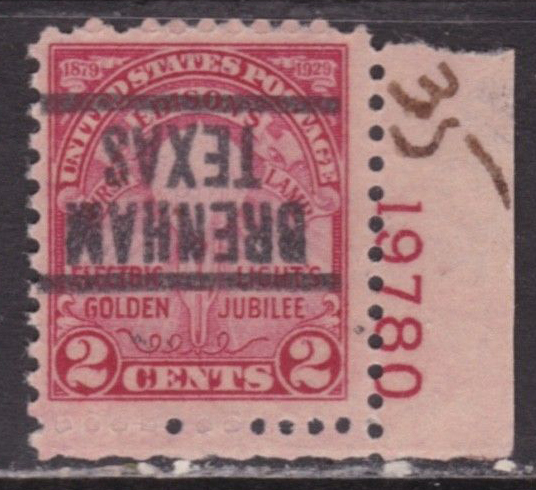 Virtually all F "finished" designations were placed before the Top Right plate number. 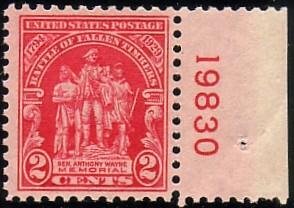 While there are a number of erroneous placements at the left and right sides, at the bottom, and at top left instead of the traditional top right, this is the only occasion known to this writer where the "F" intentionally appears in a different position. 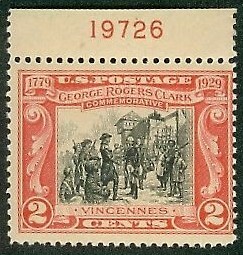 This page last updated August 18, 2018.